The Tick Key Is An Easy Tool To Use To Remove The Tick, Head And All. Fabricated From High-strength Anodized Aluminum. Easily Stored In A Wallet, Pocket, On A Key Chain, Collar, Or A Leash. This Item Is In Category: First Aid & Personal Care > Insect Treatment Brand: The Tick Key. Buy for family and friends and save. 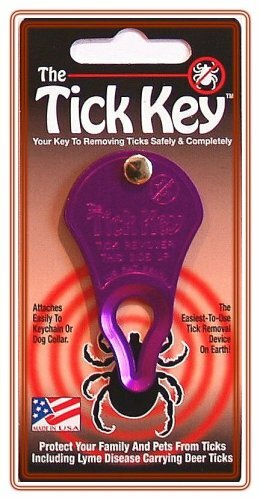 The Tick Key is the easiest tick remover available on the market. Great for outdoor pets, including dogs, cats, and horses. May also be used for campers, gardeners, hikers, golfers, basically for those who are outdoors or may come in contact with ticks. 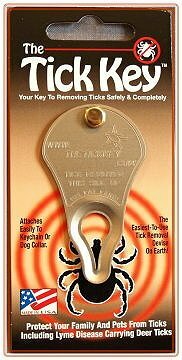 The Tick Key is easy to use and will quickly help you remove ticks. This patent pending design has been perfected and tested for over five years and is responsible for removing thousands of ticks of all sizes including deer ticks and dog ticks. The Tick Key is flat and is easily stored in a wallet, pocket, on a key chain, collar, saddle, or leash. Comes in assorted colors. Please allow us to choose for you. 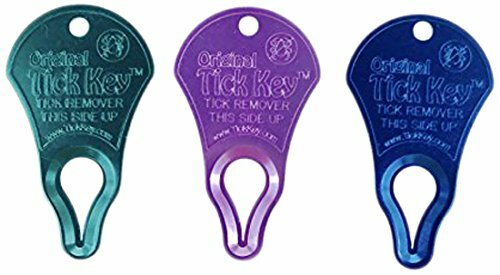 The tick key is a tick removal device on the planet that uses natural forward leverage to remove the entire tick, head and all, quickly and safely without touching or squishing even the toughest engorged ticks. 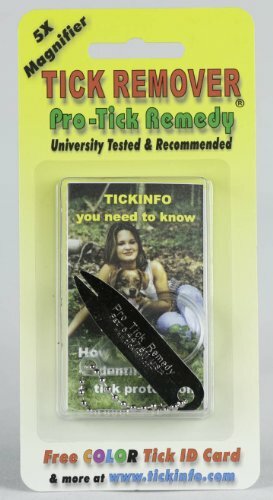 The hottest selling, easiest-to-use tick removal product on market. The TickKey is made to attach to your key ring or your pet's collar so you never leave home without it. Did you find a tick embedded in your dog? cat? person???? 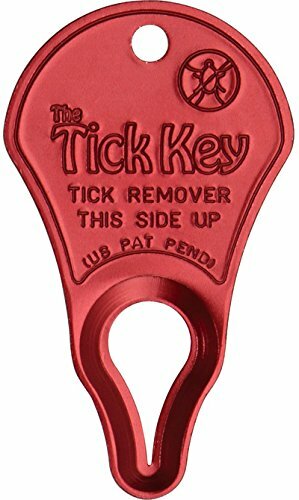 Simply put the ticks body through the largest part of the opening in the key, slide it down so the smallest part of the opening is around the tick, and give it a pull. Safely removes the tick body and embedded head with ease. 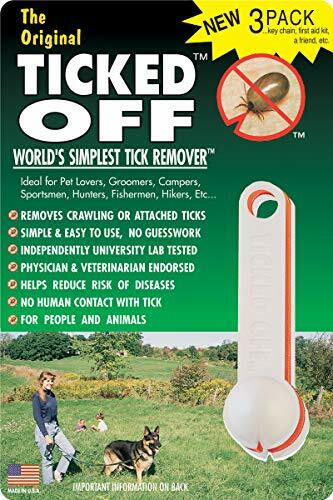 Excellent tick removal device for both people and pets. The family 3-pack comes with 3 keys in assorted colors - red, blue, green, purple, orange, or nickel. Let us pick the 3 colors for you. 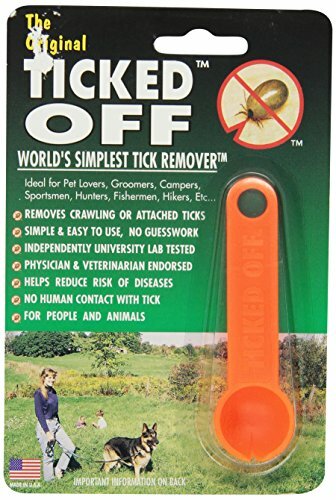 The Tick Key is the only tick removal device on the planet that uses natural forward leverage to remove the entire tick head and all quickly and safely without touching or squishing even the toughest engorged ticks.